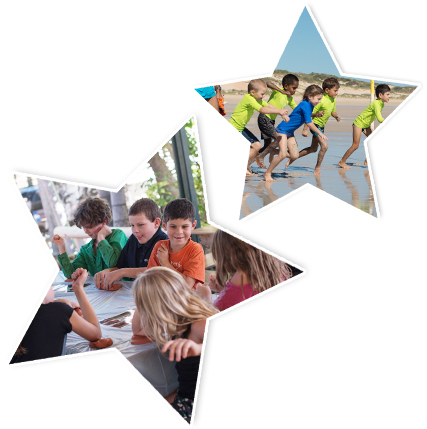 Kimberley School of the Air (KSOTA) is located in Derby, Western Australia and services families living in remote locations throughout the 423,517 square kiloEnrolments for Kindy 2019metres of the Kimberley. We are a West Australian public primary school teaching Pre-Kindergarten to Year 6. KSOTA was founded in 1960 and was originally based at Derby Airport, sharing radio services with the Royal Flying Doctors Service. Today we are located our own purpose built site in the heart of Derby and our students attend Air lessons using a web platform similar to Skype. We currently have Kindergarten/ Pre-Primary, Year 1/ 2 and Years 3/4/5/6 classes. In addition to attending air lessons, students receive home visits from their teachers and attend multiple camps throughout the school year. Enrolments are open for Kindy 2019. If your child was born between 1st July 2014 and 30th June 2015 they are eligible to enrol for Kindy 2019. Please see enrolment section.